Scientists were also able to conduct preliminary atmospheric studies on the atmospheres of the four most Earth-sized planets (d, e, f, and g) by studying the light of their star as it passes through them. At least three of them (d, e, and f) appear to have an atmosphere unlike those of Neptune and Uranus – rich in hydrogen and helium – suggesting they are more similar to our own terrestrial worlds. These studies re-iterate just how exciting this planetary system is. 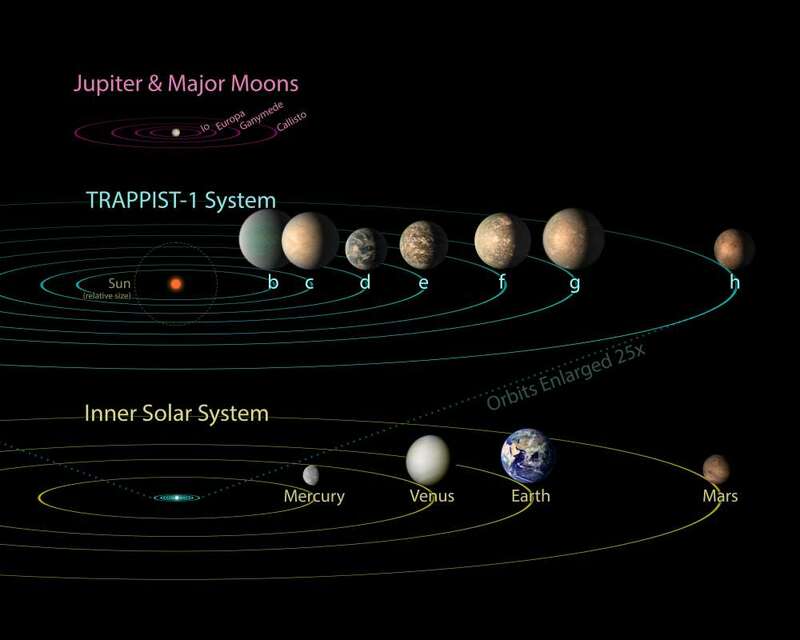 There is a possibility that one or more of these worlds could be habitable. And being on our cosmic doorstep, they are close enough for us to study them in detail. There will be plenty more exciting findings to come from this system in the future.